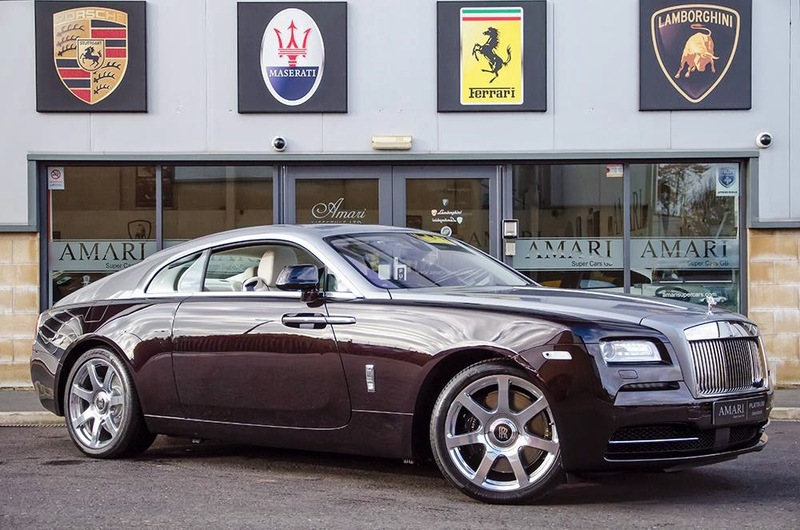 Rolls Royce launched the Wraith in March 2013, with a base price of £215,000. 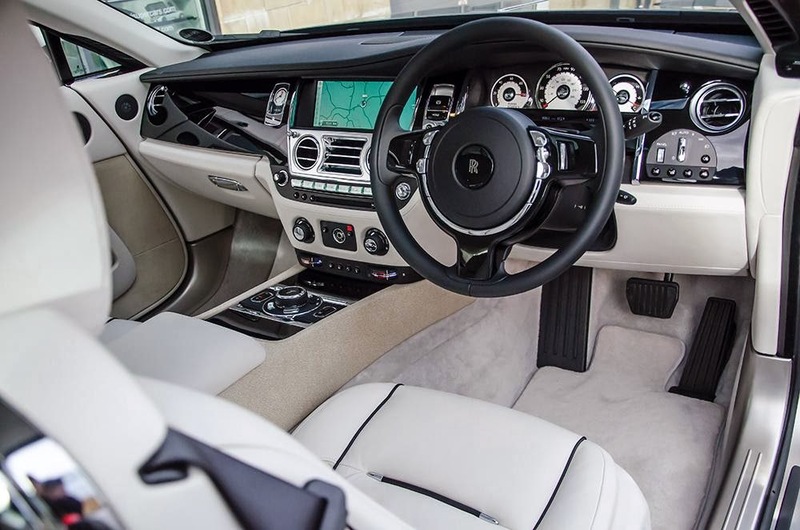 I was at the UK launch - it's a damn fine looking automobile and the interior is sublime. The Wraith has been a sales success. 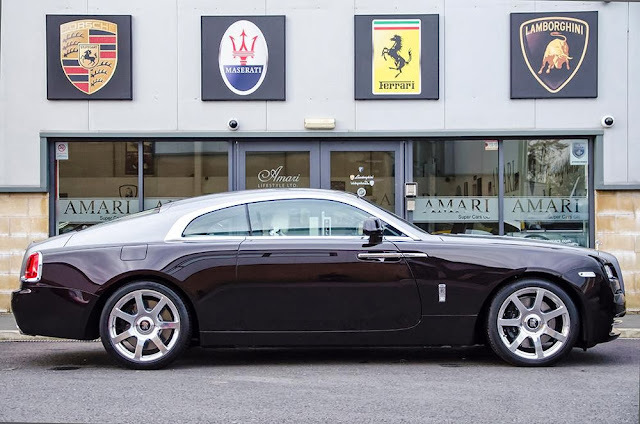 It is hand built in the company's Goodwood factory alongside the Phantom II and Ghost. 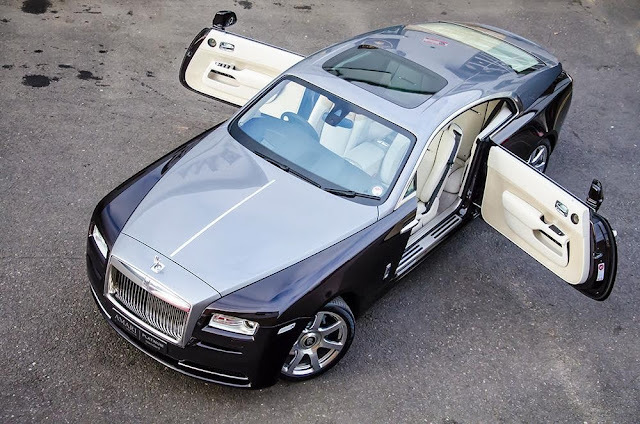 The price is pretty reasonable given what goes into building a Rolls. As such waiting lists have started to build, and have reached 7 months in some markets. For those of us in the UK with pots of cash and a burning desire to own a Wraith an independent supercar dealer in Preston is selling one for £318,760. It comes with just 13 miles on the clock (put on the car by Rolls Royce themselves on the test route around Goodwood) and has a ton of options including a bespoke audio system, Rolls Royce logos on the headrests, a boot that opens when you wiggle your foot under the bumper, a sunroof (that doesn't open(?)) and all sorts of posh bits and pieces that rich people like. 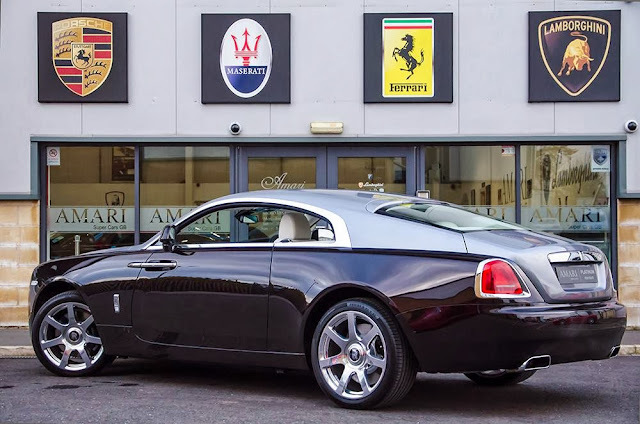 So, if you can't wait for a new Rolls Royce Wraith head up to Lancashire and pay £103,000 more than the list price for the privilege of owning a rather handsome slice of British (and some German) engineering. You can find the advert here.